For those who may not be the biggest fans of Michael Bay's Transformers movies, the upcoming Transformers: Combiner Wars animated series couldn't come fast enough. Well, wait no longer. Fresh from the Transformers panel at Comic-Con, Hasbro and Machinima have debuted the first trailer for the series featuring new characters, a different war, and a much bigger threat. Following on the heels of four terrific prequels (which are below as well) featuring Optimus Prime, Windblade, Starscream, and Victorion, Transformers: Combiner Wars takes place decades after the war between the Autobots and Decepticons. Now there's a brand new threat menacing the homeworld of Cybertron, one that allows multiple transformers to combine into one gigantic force. Fans of the toys will already be familiar with the Combiners but seeing them in animated glory is pretty awesome. 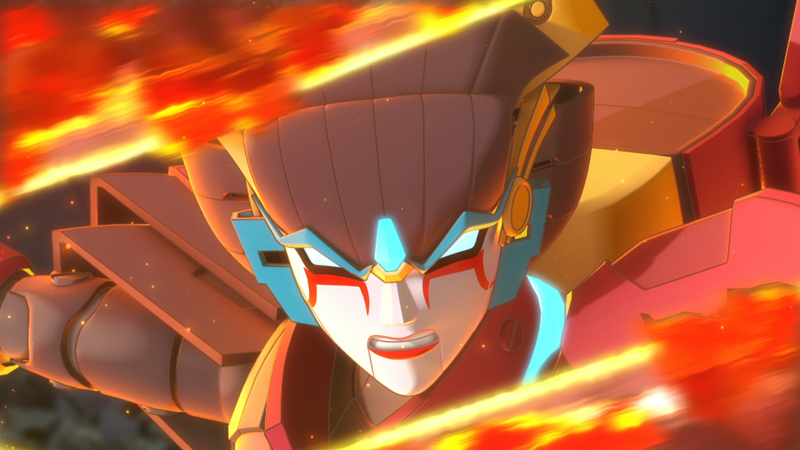 Transformers: Combiner Wars debuts August 2nd on go90.